Officials in the US Obama administration considered compromising Libya's government computer networks to block early-warning data gathering and missile launches on NATO war planes during the American-led strikes, but decided against it, according to The New York Times. The report goes on to claim that, while the use of what is believed to be a pre-existing armoury of Trojans, viruses, malware and military hackers was suggested, the cyber-attack was never actually carried out. The attack would have tried to disrupt Libya's early-warning radar system and thus cripple the North African country's ability to fire back at attacking NATO aircraft.But the Obama administration and the Pentagon chose instead to mount a conventional attack, partly because an American cyberattack might have set a dangerous precedent, and Libya might not have been worth the risk. 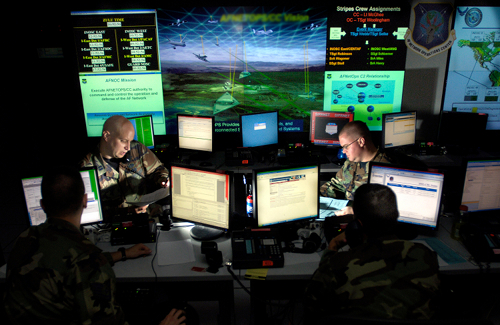 In the end, American officials rejected cyberwarfare and used conventional aircraft, cruise missiles and drones to strike the Libyan air-defense missiles and radars used by Col. Muammar el-Qaddafi’s government.This previously undisclosed debate among a small circle of advisers demonstrates that cyberoffensives are a growing form of warfare. The question the United States faces is whether and when to cross the threshold into overt cyberattacks.